Build for a Cure, The Home Built With Love – SOLD!!! 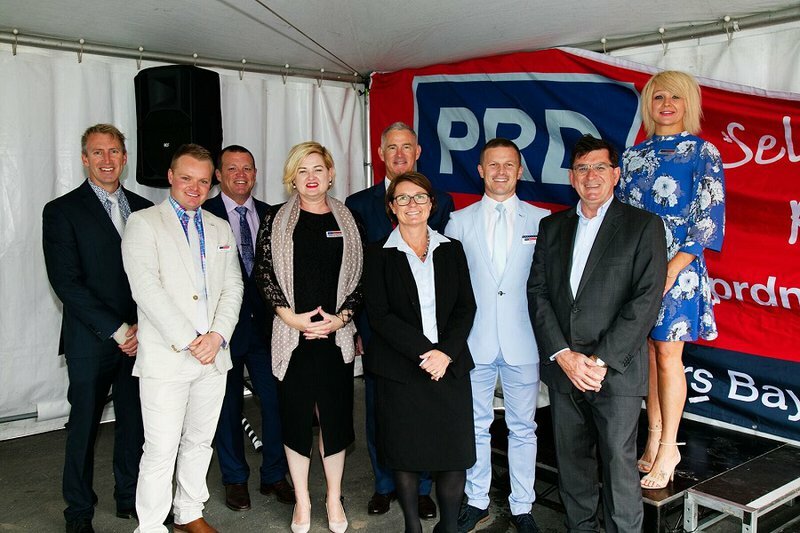 PRDnationwide Port Stephens — News — Build for a Cure, The Home Built With Love – SOLD!!! The ‘Home Built With Love’, which was publicly unveiled in Medowie’s Bower Estate in September and sold for $650,000 at auction on Sunday 21st October to a couple from Nelson Bay. Bidding for the four-bedroom home started at $580,000 and with four registered bidders it quickly created an exciting atmosphere and the pace got quite exciting towards the end. There were four registered bidders, and the pace got quite thrilling towards the end. The end sale price achieved will fund six researchers working in the Children’s Cancer Institute labs for a whole year with goal of zero cancer in kids. Every aspect of the project was generously donated from the land by The McCloy Group, the beautiful home by McDonald Jones, furniture and styling by Freedom and appliances by Winnings and Fisher & Paykal along with the many tradies and professionals who gave up their time to support in a variety of ways. We were blown away by the level of community spirit encompassing the project. PRD Port Stephens buyers and winning bidders, Narelle and Alan Grace, intend to use the house as an investment property. Due to the couple’s own personal experience with cancer they were attracted to the ‘Build for a Cure’ home and were delighted to help such a great cause.